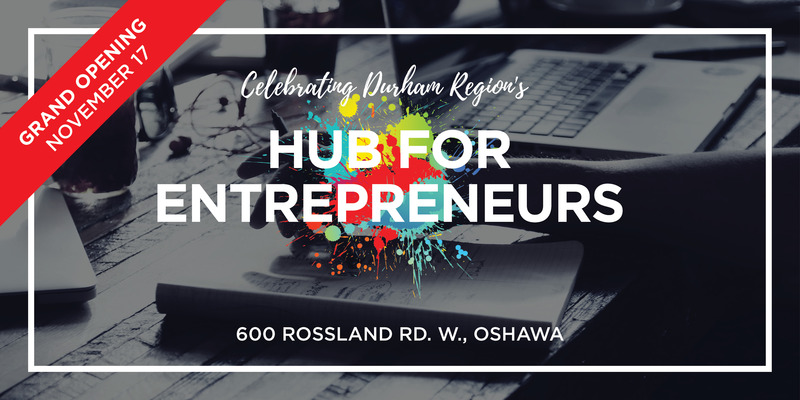 Community Innovation Lab with the support of the Ontario Trillium Foundation, and in partnership with the Durham Catholic District School Board, invites you to come and explore our new hub space. Please join us for our Grand Opening on November 17, with events all day long. Stay to explore our hub space, enjoy program samplers, guest speakers and entrepreneur pop-up shops. Open all day until 6 pm. RSVP or call us at 905-724-3327. Community Innovation Lab is a not-for-profit organization and Ontario’s first community hub for entrepreneurs. The Co-iLab Hub is located in the southwest wing of Monsignor Paul Dwyer Catholic High School.